How can we use Instagram and Facebook without doing ourselves harm? In the last episode of the series, Fearne speaks to social media mentor - and Fiit fitness trainer - Chessie King. The pair speak about their own battles online, and how Chessie's managed to take on the trolls... and win. Our sponsor for this episode was Fiit - to find out more about them head to https://fiit.tv/blogs/get-fiit-with-fearne/. We'll be back with new episodes very soon - in the meantime, why not leave us a review on Apple Podcasts? This week Fearne has a very special honour: to let a remarkable person know that she has won a national award, on behalf of The Prince's Trust. Grace Graham has faced more than her fair share of obstacles to become a success in business. In this candid interview, she tells us what she's overcome and how it led her to be the person she is now. The nation's favourite Davina McCall drops by to chat marathons, drug abuse and learning to love yourself again. This episode of Happy Place was recorded in front of an audience as part of Happy Place Live with Vita Coco. It was a day of live events, workshops and talks and a fabulous time was had by all. If you'd like to attend the next live event... keep listening to Happy Place! We'll tell you all you need to know. Henry was paralysed from the neck down after an accident on holiday. He was seventeen. Now, ten years later, he speaks to Fearne about how his life changed that day and made him the person he is proud to be: the sporty kid who became a bestselling author, motivational speaker... and artist. Running saved Bryony Gordon from herself. After years struggling with alcohol and depression, she found a fresh perspective on the world after slipping on some trainers and... doing the London marathon in her underwear. The writer and journalist joins Fearne for a chat about how she went from the couch to 5k - and then to 26 miles - whilst still dealing with the huge mental stress of her day-to-day life. Understanding your own intentions is part of the journey to better mental health, but actor Natalie Dormer makes a habit of adding another entire character to the mix. In this funny and insightful chat with Fearne, she tells us what she does to get inside the head of the character she's playing - and what that can do to her own mind. On the way we discuss her roles in Game of Thrones, The Tudors and Picnic At Hanging Rock, as well as her own movie (which she co-wrote) In Darkness. Wanda did not have a great break-up with her boyfriend, but it did spur her to get on stage for the first time... and explain how angry it made her feel. From that moment, Wanda became a spoken word artist and over the years has helped to change the lives of many facing mental health crisis, through creative writing - including out very own Fearne. In this ep they discuss their first meeting and how writing and performing in front of others can help in lots of ways. Fearne drops by the offices of music channel SBTV, to meet its founder and discuss how to be successful as well as content... and how his mistakes and failures have helped him to be the success he is today. From anxiety and panic attacks to the role of social media, the pair chat about how they've overcome those inner demons. When Poorna discovered her husband's heroin addiction, she described it as an earthquake. What followed next was unimaginable and now, several years' later, she tells Fearne about her experiences and how she has come to terms with them. Trigger warning: contains references to suicide. If you're in the UK and in need of someone to talk to someone, call The Samaritans on 116 123. Fresh from announcing the big Spice Girls reunion, Melanie C joins Fearne for the first ever *live* edition of Happy Place. The singer discusses the high of Girl Power and the impact it had on her life, both positive and negative... and how the years afterwards brought greater understanding of her relationship with depression and herself. This recording took place at the Google Pixel 3 Curiosity Rooms in central London - a series of free workshops, talks, podcasts and more. Go visit them, in Piccadilly, until the 16th December. When Kris was just 23 years old, she was told by doctors that she had an incurable breast cancer. You'd be forgiven for thinking that this is Kris' story ends... but, ten years on, she tells Fearne that whilst it changed her life in many ways, some of them were for the better. We're back for season two! And there's no better way to start than with Gary Barlow. In this chat with Fearne, the celebrated songwriter and Take That frontman talks candidly about his life after the group split. From depression and food obsessions, to his renewed sense of family and his slow recovery. Gary's new book, A Better Me, is available to buy now. Surprise! We have a special bonus episode for you this week, in which Fearne talks to broadcaster and BFF Emma Willis about beauty: whether that's inner, outer or imagined. 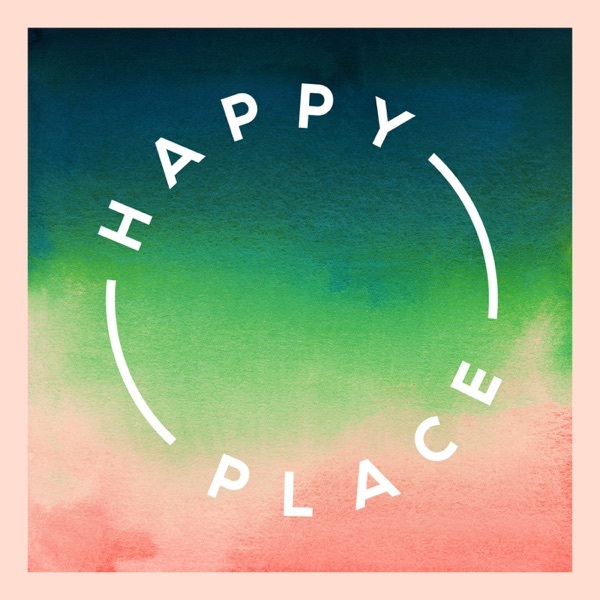 In return, we'd love it if you could vote for Happy Place in the British Podcast Awards - it's really simple and free to do: just head to britishpodcastawards.com/vote. Thanks to Garnier for supporting this podcast through their Commit to Care initiative. For more information on their work, just search Garnier Commit to Care. Gok Wan is a hard worker - and it’s his eye for detail and relentless drive that has endeared him to millions of TV viewers. But it’s also responsible for some of the more difficult times of his life, including extreme waves of anorexia. Thanks to Garnier for supporting this podcast through their Commit to Care initiative. For more information on their work, just search Garnier Commit to Care. When she's not playing Cersei Lannister in the hit show Game of Thrones, Lena Headey could kick back and relax. Not Lena. In this delightfully sweary interview with Fearne, the pair discuss life outside the set - from avoiding small talk at parties to visiting Syrian refugee camps and facing demons on social media. Thanks to Garnier for supporting this podcast through their Commit to Care initiative. For more information on their work, just search Garnier Commit to Care. Can you be successful and stay grounded? After twelve years presenting radio's biggest interview show, Desert Island Discs, there are few people better placed to understand than Kirsty Young. From Nobel-winning scientists to Hollywood royalty (and actual royalty), Fearne talks to Kirsty about what makes them tick - and what words of wisdom they've shared with her over the years. What does it take to run one of the most influential magazines on the planet? And what do you need to be a great leader? Alexandra Shulman spent 25 years as the editor of British Vogue - here she tells Fearne about the things she learnt about herself, and how to cope once you decide to walk away from the job you love. We will all lose someone close to us, and the way we cope with that is never certain. But the way Zephyr speaks about the death of her husband has been an inspiration to Fearne. In this episode we hear stories of bereavement, raising a family on your own, and finding a happy place amongst the darkness. There's also a farting dog. Thanks to Garnier for supporting this podcast through their Commit to Care initiative. For more information on their work just search Garnier Commit to Care.